A young swimmer wanders aimlessly by the edge of the pool. He’s devastated, his performance wasn’t as expected, and with disappointment in his face he moves away from his team mates, nobody can soothe his anguish. A few meters away, another swimmer, a girl, cries bitterly. She embraces her coach desperately, unable to understand how it is possible that her father has left in a rage because of her mark, leaving her when she needs him the most. Yet another one complains about his bad luck, he’s been disqualified in his favourite race and all the effort and work of the last term has gone down the drain. He can’t stop wondering if all the effort and work was worth it. It’s the dark side of sports, the failure, and every athlete has suffered it at one time or another. It acts like a virus that infects you and make you vulnerable. Rage, desperation and apathy are some of its symptoms. Controlling and reducing its effects must be a priority in our preparation if we want to avoid giving up prematurely. The reasons why kids start swimming are diverse: to learn how to swim, to make new friends, to practice sport and to be healthy, just for fun, to search for social status or simply in order to improve their physical abilities, also by medical suggestion. 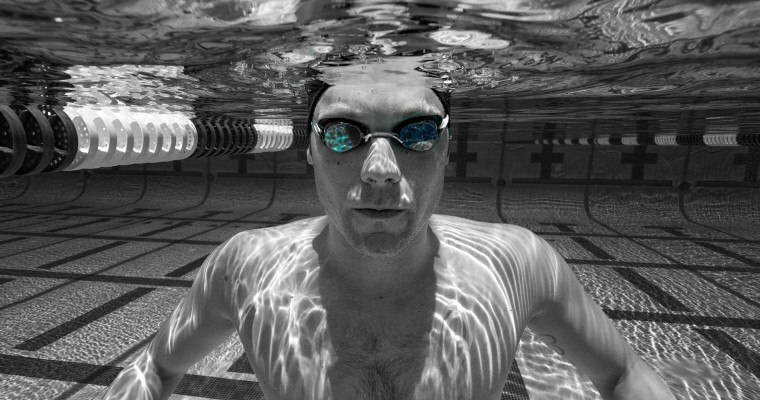 Knowing and understanding the reasons why many swimmers leave the pools, spotting it early and preventing its consequencies will be a priority and so it must be studied hereby.  Difficulty in combining training and the university studies. • Too many extracurricular activities. Conflict of interests. Training swimmers isn’t easy. 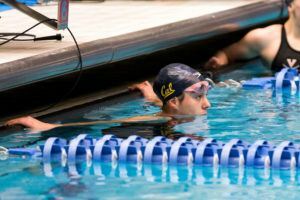 Times have changed and swimmers expect a coach to teach them, direct them and pay them the attention they require. Many of them are young athletes, in the middle of their learning process, that need to the know the reasons behind the training practice, for whom the peers’ opinions weighs a lot, and who require the support of their families. Knowing that they are not miniature adults, controlling their progress through adequate and efficient planning that covers their elemental needs and guarantees a logical learning process, respecting and taking advantage of those phases that are more convenient for the different working intensities, will be of a vital importance to prevent giving up prematurely. Agustín Artiles Grijalba has more than 35 years of experience as the head coach of some of the most important Spanish swimming teams. 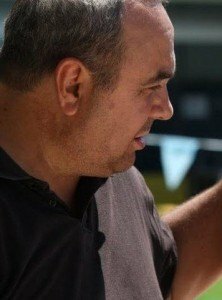 He has been the coach of the Spanish Swimming Team from 2008 to 2012, and has trained the 50 breastroke Spanish National Record Holder, Hector Monteagudo Espinosa, from 2002 to 2013. 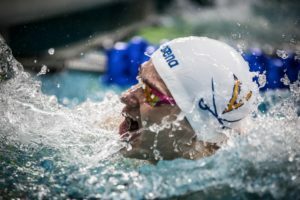 Agustín has also trained several international swimmers from the Spanish National Team and europe, as well as paralympic athletes with world records in all different categories. In 2006 he was honored as the “Best Competition Swimming Coach” in Spain. You can read his blog here. I say let some quit. It’s not a tragedy if a kid finds another sport or activity that they are more passionate about. There are too many slackers and lack of committed athletes in the sport anyhow. Better they find one other thing to do they really like and put 100% into it then hang around swimming and put 50% into it. They learn nothing from putting 50% into swimming. They learn everything from putting 100% into something. Let’s stop coddling kids. We have a whole generation of weaker people that are not prepared for how tough life can be. Amen to that comment about parental coddling Sandra Cathey! I once was absolutely flabbergasted when a mother approached me and stated: “I told my daughter: You were amazing!” and “I can’t believe you even got up there and dove in from that diving board!” PS: the daughter is a larger girl so mabye that comment was to encourage her and not coddle? All I could day was “Yeah!” “The kids do really well even we do not expect it sometimes!” I was trying to be nice…but really people!?! I agree. Too many coaches are terrible. But there are also a number doing a great job. Biggest problem is not challenging kids. Agree. Many coaches someone yet have kids and are immature adults who have little understanding of child development. Kids are not perfect.. They will come from all backgrounds and have different capabilities…. From the natural swimmer and early developer to the overweight swimmer who is improving him or herself… To A+ brilliant students to kids with learning disabilities. I have rarely seen a coach who really gets all the kids…. Most just want to focus on the natural ability superstars. Wouldn’t letting them quit be the definition of coddling? Yes I agree. Letting them quit, without good rationale, would be coddling. Sometimes it is good to let the kid follow another passion. Or better to find another team than deal with abusive coach. But let’s remember all kids are different and try to understand what makes them tick and motivate them. 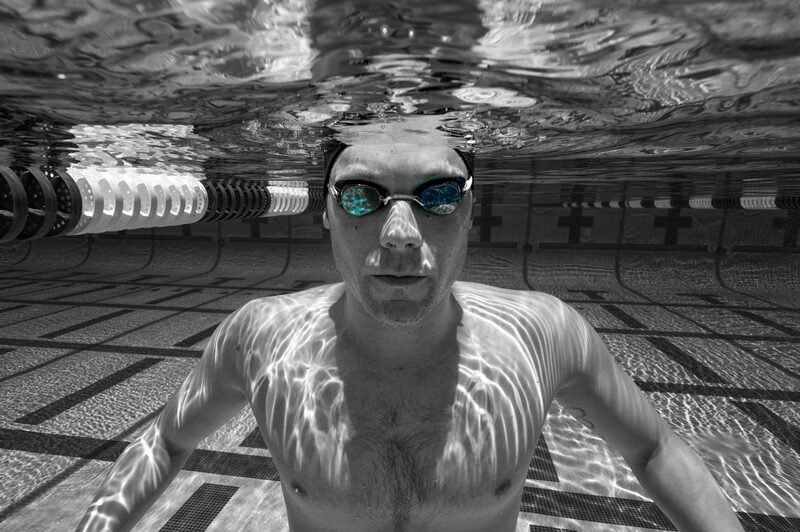 The first thing is the well-being of the swimmer and keeping in mind the advice of the sports doctor. I do not know the type of injury, but it is important to be patient. It is advisable to speak with the swimmer, make him aware of the situation and the fact that you support him or her and worry about his or her well-being. It would be a good idea to keep in good physical shape with other activities that do not worsen his or her condittion.